You can now pick-up and drop-off your vehicle 24/7! Our kiosk is located inside the main showroom entrance. The entire drop-off/pick-up process takes less than 3 minutes. Now you can service your vehicle whenever you want! The kiosk guides you through the entire process. The whole drop-off and pick-up process is very user-friendly! We've made things extremely easy for you! Using the touch-screen prompts, the entire drop-off and pick-up process is made easy! We've made the technology extremely easy to use. 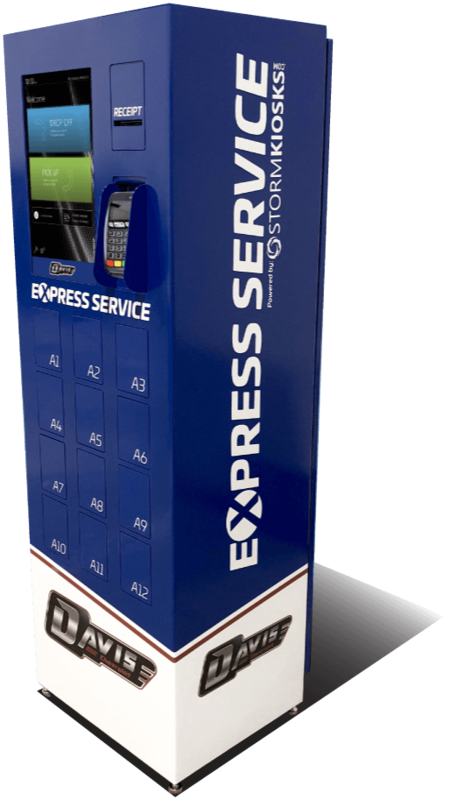 You can complete the check-out process, pay for your service appointment, and print your receipt right from the kiosk! Book online and enjoy the convenience today!